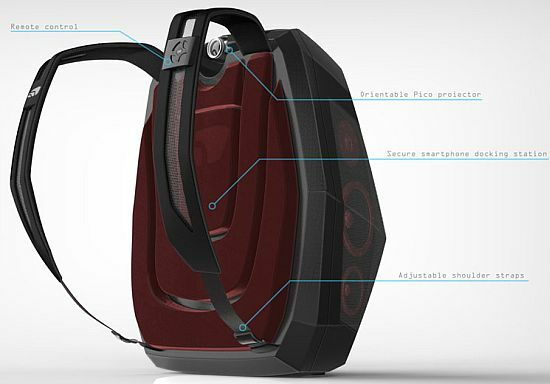 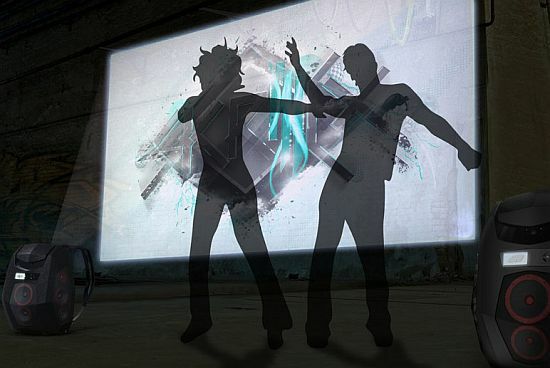 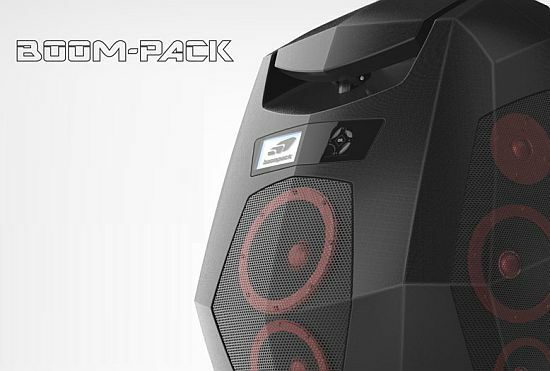 Looking for a portable music system to rock your outdoor parties, check out the “Boompack” by Italian designer Max Battaglia, which is a powerful source of music and video that turns every space into a perfect stage for all who simply want to dance and party anywhere, anytime. 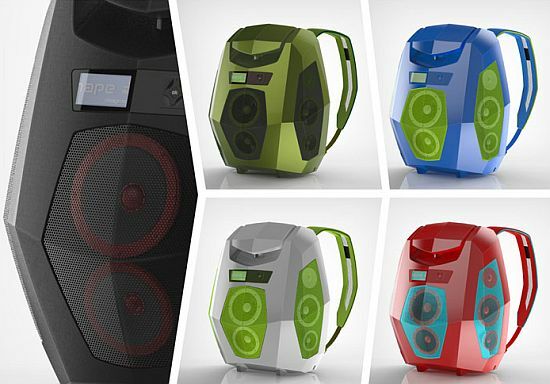 Ideal for street performers, the compact music system is not only lightweight and easy to carry but also offers all-in-one solution for different situations and places. 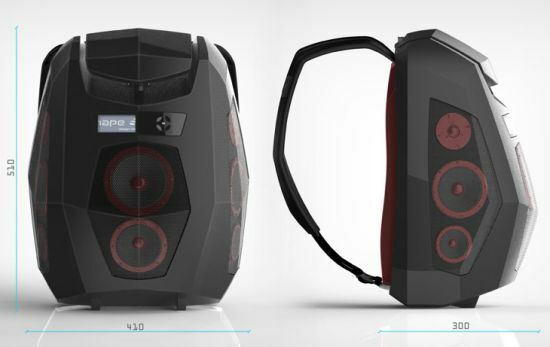 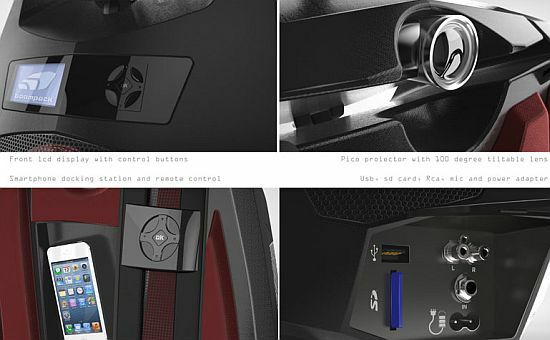 Featuring eight ways speaker capable of producing 100 watt sound power, the carbon fiber sound system also presents 32 GB internal memory and SD card expandable memory, together with UBS plug, RCA plug and 6.35mm mic plug. 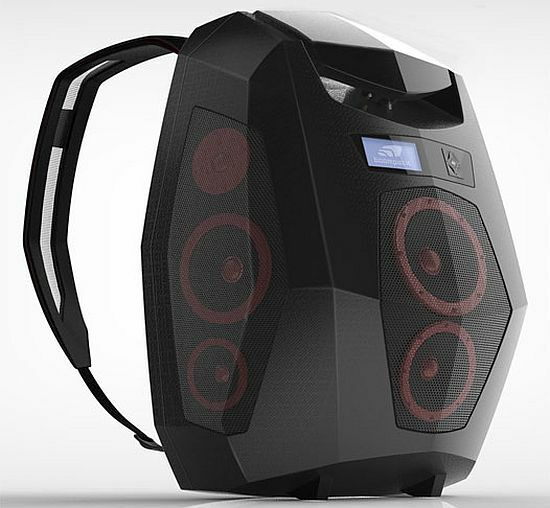 Powered by built-in rechargeable battery with six hours of operating time and power adapter, the Boompack comes integrated with a Smartphone docking station and connects wirelessly with Bluetooth enabled devices. 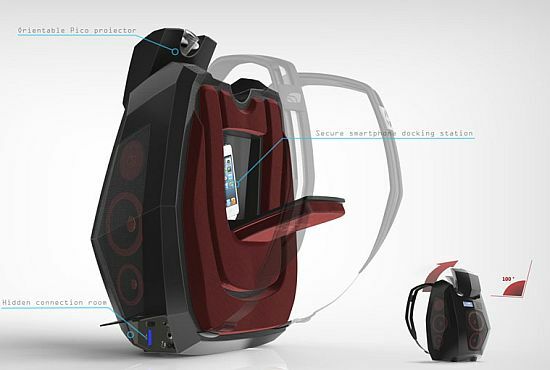 Weighing 7.5 Kg, the water resistant music system also includes a Pico projector with 200 lumen brightness and 100 degree adjustable lens and front and back remote to ensure easy controls. 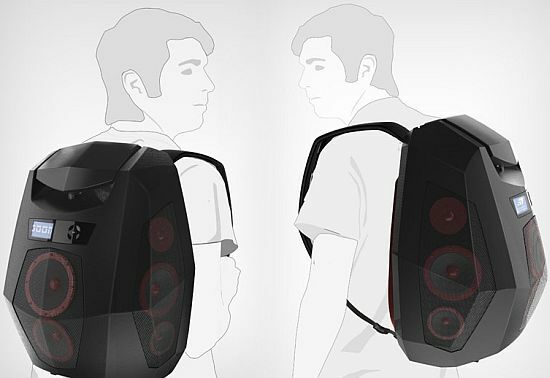 Offering impact resistant composite hard case and adjustable shoulder straps for safe and easy transportation, the self standing video system can be connected with one or more Boompacks to amplify the sound effect.